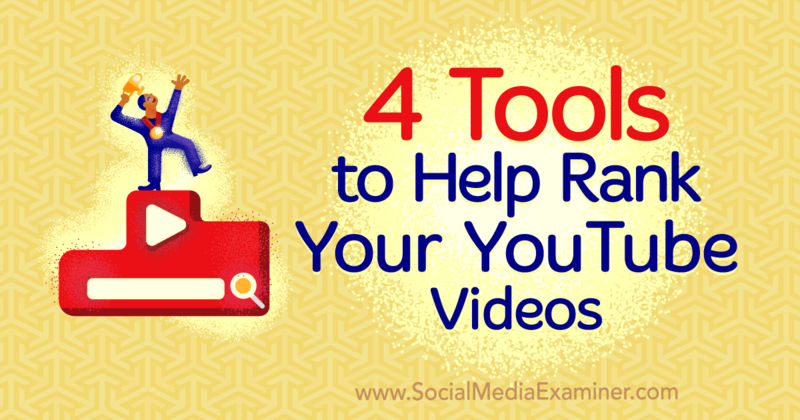 Are your YouTube videos ranking in YouTube search? Looking for tools to optimize your titles, keywords, and tags? In this article, you ll discover a four-step process to reveal high-performing keywords for your YouTube content. #1: Gauge Topic Interest with Google Trends Before you create a YouTube video, the first step is to find a topic [...] This post 4 Tools to Help Rank Your YouTube Videos first appeared on Social Media Examiner.